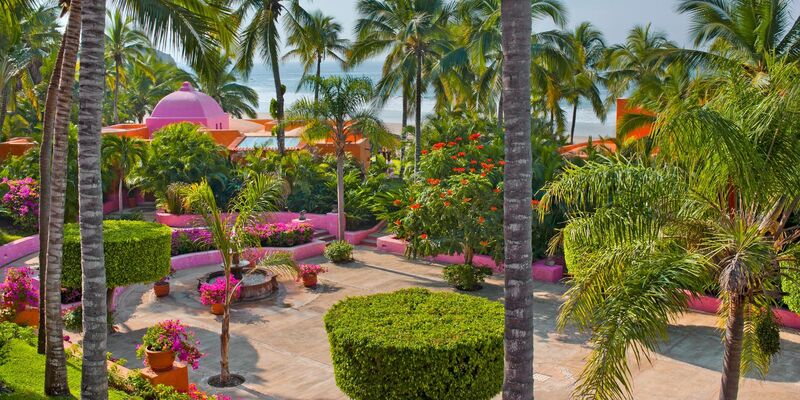 It began with a tract of jungle in Jalisco’s Costalegre and it has become one of the world’s most exclusive and secluded destinations. 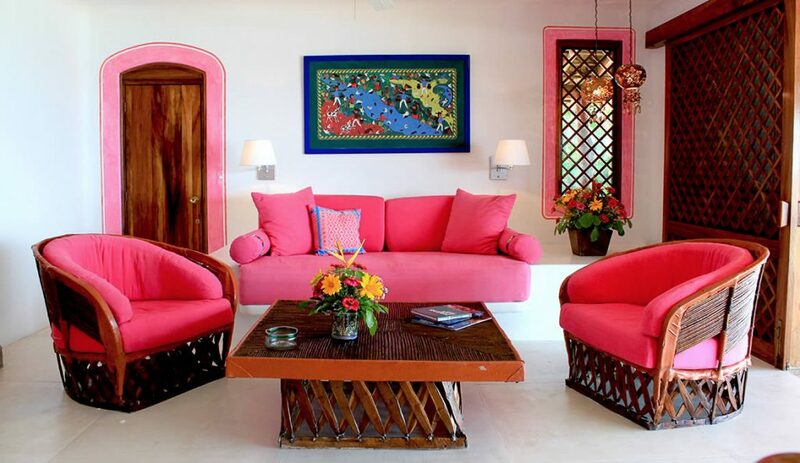 Las Alamandas, a boutique development of just 16 suites and three beachfront villas, was created when Isabel Goldsmith-Patiño, daughter of British financier Sir James Goldsmith and Bolivian heiress Maria Isabel Patiño, inherited 1500 acres of tropical coastline from her maternal grandfather. Instead of pursuing his plans for a grand hotel and residences on the land, Goldsmith-Patiño instead determined to protect the wild nature of the land as much as possible, while creating accomodations which have proved popular with those seeking the ultimate escape to paradise. The development of Las Alamandas only takes up a very small area of the land, with accommodations, restaurant, gallery and office all located on one crescent of beach surrounded by miles of thriving jungle that is now a nature reserve. The first building on the land was a three bedroom villa where Goldsmith-Patiño herself took up residence. 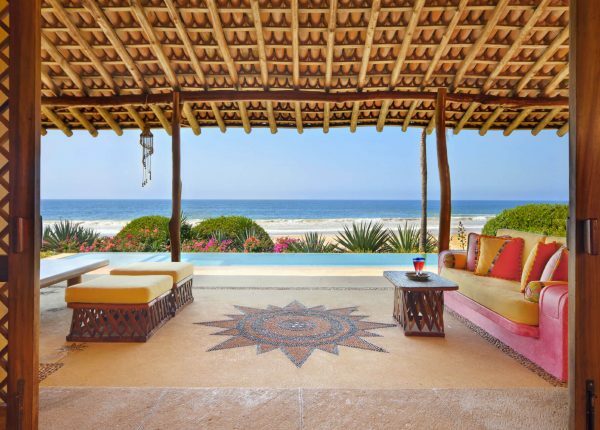 Since then, the traditional Mexican-style property – now bearing the name Casa Isabel – is available to rent, while Isabel’s new casa, also in the same architectural style, has been built on one of the headlands overlooking the bay. When we arrived for our stay at Casa Isabel, the first thing we noticed was the proximity of the jungle. It crowded towards the dirt track that leads from the road and its inhabitants swooped and scuttled across our path. After ten minutes of bone-juddering driving (lacking as we did the method of transport that would have enabled us to use the private landing strip), the jungle gave way and we emerged into the perfectly manicured gardens of Las Alamandas, lawns made green by the occasional rainy season downpour, mangoes hanging ripe from trees and a blessedly paved driveway. Beyond the grass was the Pacific, thundering like a surfers heaven, only steps from the villas across a band of coarse sand. 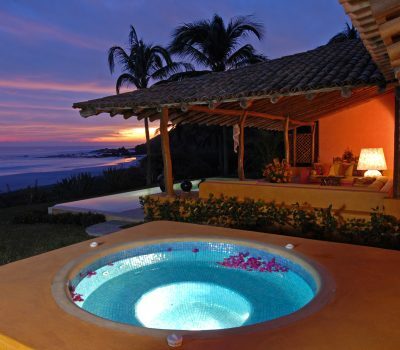 Casa Isabel has a rustic charm, while providing all amenities. 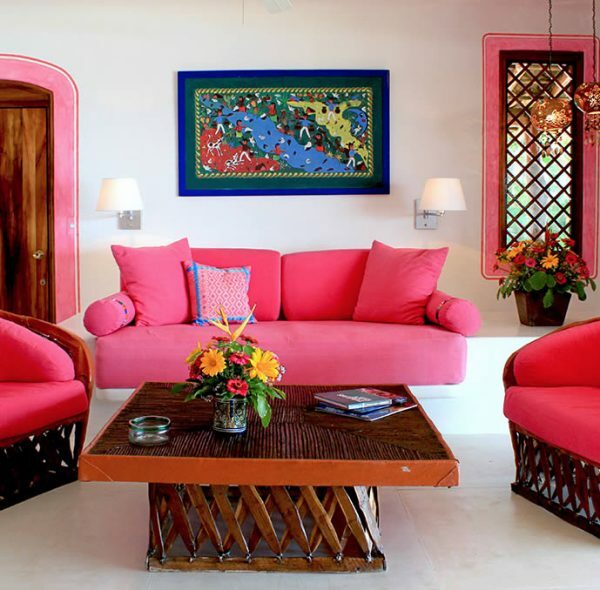 Bright pink on the outside, the interior is a cooling white, with tasteful wooden furnishings. All three suites have large, comfortable beds, bathrooms and dressing areas, and shared spaces include a gently impressive hallway and versatile living space. 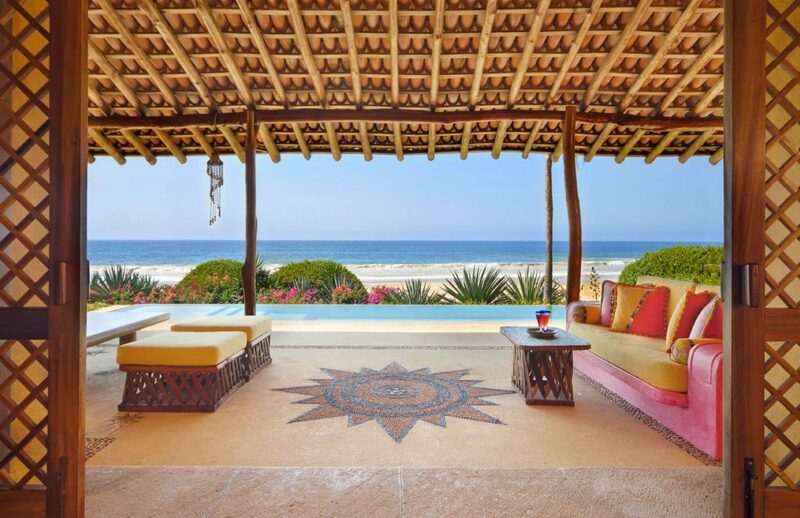 Decoration is consistent with the ethos of the property; Goldsmith-Patiño has successfully created a sense of a home away from home in these villas by carefully selecting natural materials and Mexican design features such as patterned tiles. 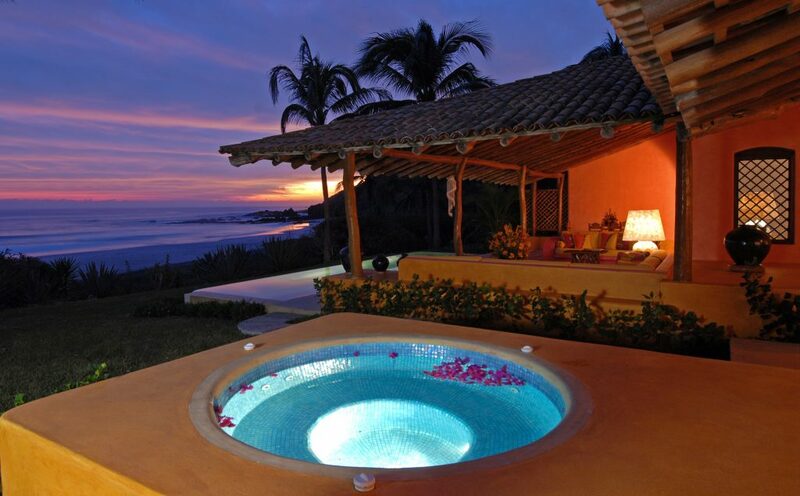 Outside, there is a private plunge pool, hammock and ample terrace space, as well as two jacuzzis (one of these on the upper floor). 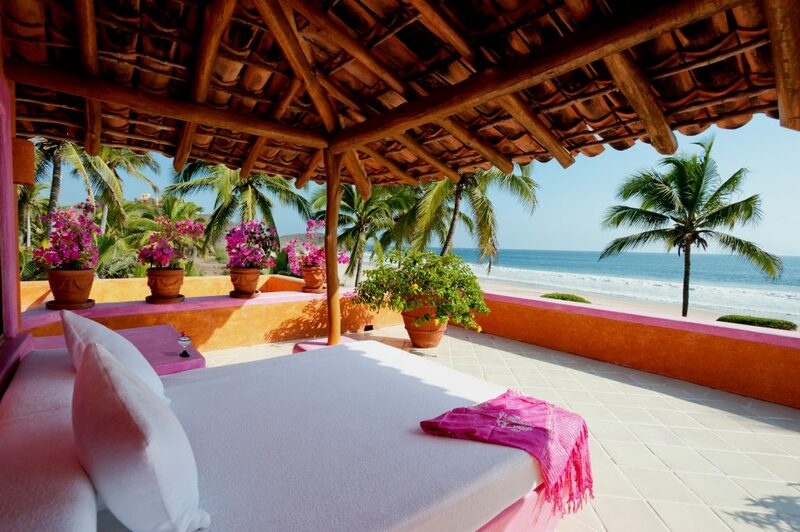 The other two villas are quite close by, but one barely notices them and certainly no conversation can be heard over the constant ebb and flow of the surf. Little touches, such as the word ‘Bienvenidos’ laid out in yellow alamandas petals on each bed, made me smile and I kept smiling throughout our (unfortunately brief) stay. José Garcia Lomeli, Director of International Sales, was able to give a tour in the absence of the boss he respectfully refers to as “Miss Goldsmith”. Huddled into the back of what seemed to be an all-terrain golf-cart, we took to the rocky tracks through the jungle once more; José showed us the gardens where fruit and vegetables are grown for the restaurant, the river where guests can go fishing or nature watching by boat and the coastal clifftop from which one can see where the silt-muddled water of the river forms a line against the clear blue ocean. From this clifftop too, one see the scale of the land that includes Las Alamandas and its easy to see why Goldsmith-Patiño has curated this experience to preserve the landscape rather than develop it. We also spent time searching for seeds known as deer eyes among the driftwood on a beach called Soledad (loneliness). Apparently a local girl lost her husband on the night before their wedding which, according to local custom, meant that she could never marry and the girl wandered on the beach in tears for the rest of her life. The girl’s father decreed that those visiting the beach must find the seed to ensure their future success in love. Fortunately, we both found at least one seed, and our romantic happiness was secured… It was an incredibly hypnotic thing to do to unwind, alone on an empty beach, surrounded by wind-whipped nature. When we ended the tour with a ceviche lunch in a small palapa on another of Las Alamandas’s private beaches, it felt completely secluded and relaxed; surrounded by half a horizon of jungle and half a horizon of sea, every care slipped away. Fortunately, we managed to return to our villa before the heavens opened and the rain began in torrents. With no WiFi and no beach (we have definitely swum in worse weather but the size of the waves discouraged us), we played cards on our veranda and watched the storm. Even though it was raining, it was impossible not to have fun, to enjoy friendship, to relax. One particularly amusing moment involved the forced eviction of a crab who had found his way into our villa and needed to be scooped into a waste bin before being taken back to the beach, our own gesture towards the maintenance of the wildlife at Las Alamandas. Dinner in the restaurant was another glorious experience, the Head Chef Alejandro Morales served up his speciality of succulent salt-baked fish and followed it up with a brownie that was completely heavenly! All the produce used is seasonal and locally sourced, if not produced by the resort itself. Requests can be catered for and no effort seems too much for the wonderful staff that are on hand for you at every moment. After a very restful sleep in the post-storm coolness, we dipped our toes into the Pacific before sadly making our way back down the track that led eventually to Puerto Vallarta, merely two and a half hours and a quarter of a million people away. 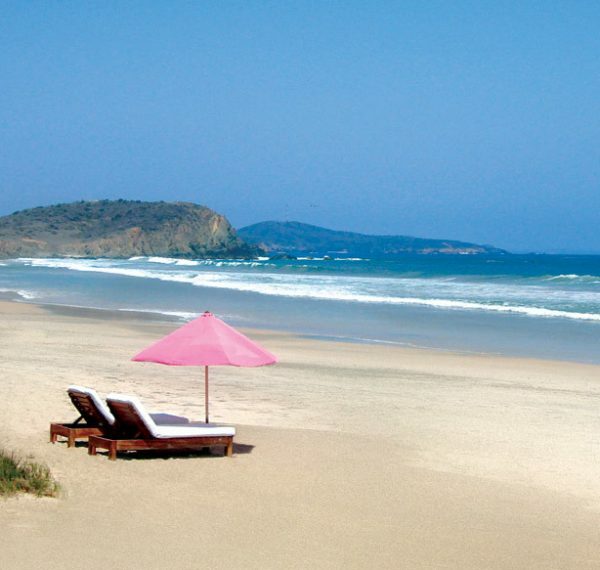 Las Alamandas is exclusive without being soulless, relaxing without being dull and beautiful without being ostentatious. 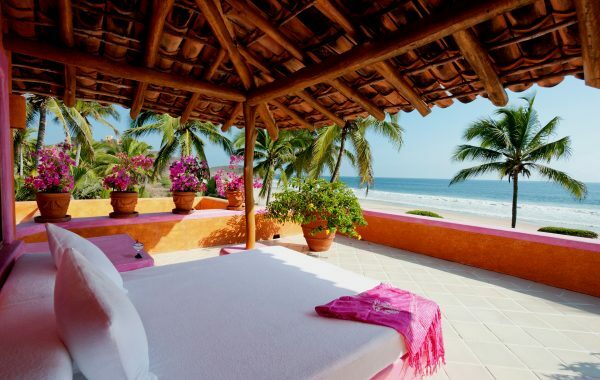 By using the land she inherited as her guide, Isabel Goldsmith-Patiño has created a resort has a unique draw and has found a way to make Mexico’s untamed nature shine. I am sure that she will continue to preserve this unique quality of this secluded paradise; this property is a secret that most guests would like to keep that way.